including ensuite singles, twins, doubles and family rooms. Book early for a golf or Easter weekend away!" 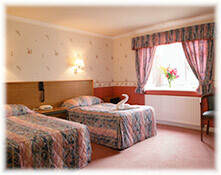 All our 33 bedrooms are pleasantly furnished to a high standard and include singles, twins, doubles and family rooms. We also have the added bonus that most of our rooms enjoy a sunny aspect from the west or south. This makes our hotel the perfect venue for a visit to beautiful Largs, whether you are planning a weekend break, mid week break or want to stay a bit longer. 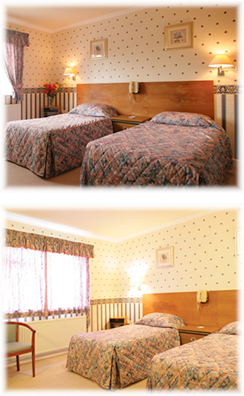 Discounted room rates are available, please call for details.